Friday 7 October 2011 Perhaps the most vivid and moving memory of our visit to Budapest last week was that to the House of Terror just down the road from our hotel in Andrassy Street. 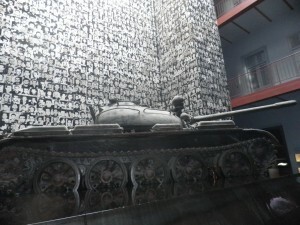 It contains exhibits related to the fascist and communist dictatorial regimes in 20th century Hungary and is also a memorial to the victims of these regimes, including those detained, interrogated, tortured or killed in the building. Though deliberately dramatic and shocking it is also sensitively and tastefully done. It captures particularly well the atmosphere in Hungary in the communist years of the 1950s. The iron curtain had descended, borders were closed and mined. You were not allowed to leave socialist countries. Those who tried to had to reckon with at best long prison sentences, but there were some who met their death on the minefields. Others were shot while escaping or were captured and executed. The Soviets were the ones who appointed the leaders in what they cynically described as “fraternal” socialist countries and who in turn contrived to bring Communist parties to power. While in Budapest I visited the beautiful parliament buildings modelled, when they were built in the late nineteenth century, on the Westminster parliament buildings. But after the second world war the Communists abolished political parties in Hungary and introduced a one-party system – although this was never enshrined in law. Most social organisations and societies were banned. Only followers of the Hungarian Workers’ Party enjoyed political representation. Every idea, theory and opinion that didn’t conform to the party line was regarded as hostile and to be eradicated. The party’s ideology, which they called Marxism-Leninism and Stalinism, spread its tentacles over the economy, cultural life, education and daily life. Parliamentary government ceased to exist, as did political debates. Party bodies controlled organs of the state; the party leadership, that is the “Political Committee” made the decisions. Matyas Rakosi, “our father”, “our wise leader”, “Stalin’s foremost Hungarian pupil” directed the Party. But every level had its own leader – the party secretary. Military discipline ruled in the party state and it progressively extended over the whole of society. Daily life became militarised. The communists changed the constitution. They declared Hungary a People’s Republic. They abolished private ownership and controlled the trade unions. They introduced a centralised, planned economy which soon bankrupted the country. Shortages became a permanent economic feature; shelves in the shops were empty. People had to queue for hours; bread and sugar were for a long time only available with food coupons. But this didn’t affect the party leadership – the “functionaries” as they were called. They received special treatment. The Party initiated ideological training beginning at kindergarten level. Children progressed from there to “little drummer boys”, then to “pioneers” and finally to the DISZ, a “democratic” student organisation. The country was made to celebrate April 4, the “Day of Liberation” [from the Nazis] and November 7, the day of the Bolshevik takeover. Those who didn’t show sufficient enthusiasm were promptly denounced by informers who were everywhere. People learned to whisper in constant fear of their conversations being intercepted. Terror cast its shadow over daily life. 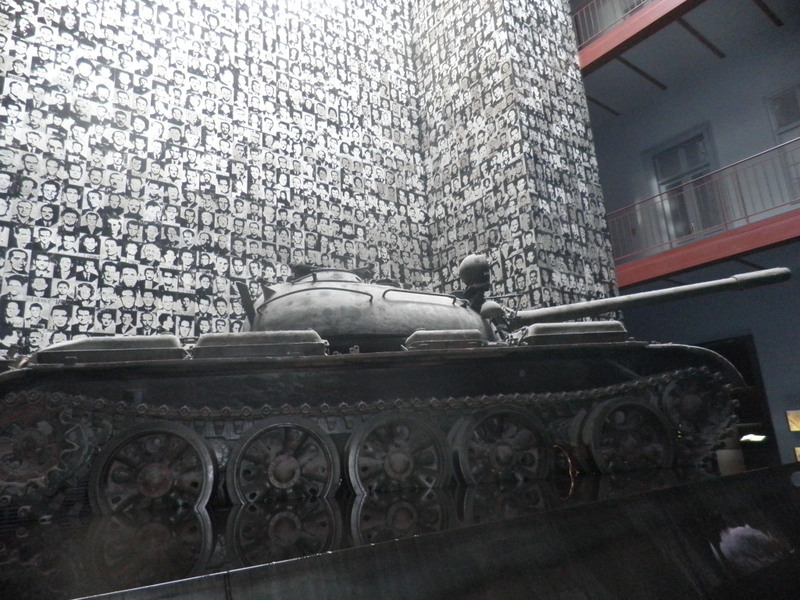 A visit to the House of Terror, which recalls these years and tells you much more than I have summarised, makes you appreciate every new day and what a precious thing is freedom.